Welcome to the world of Kanji! We have learned many exciting things about the Japanese language but one essential topic we must discuss is Kanji. Kanji is very important to learn and today we’ll be learning about how Kanji came to be in Japan. 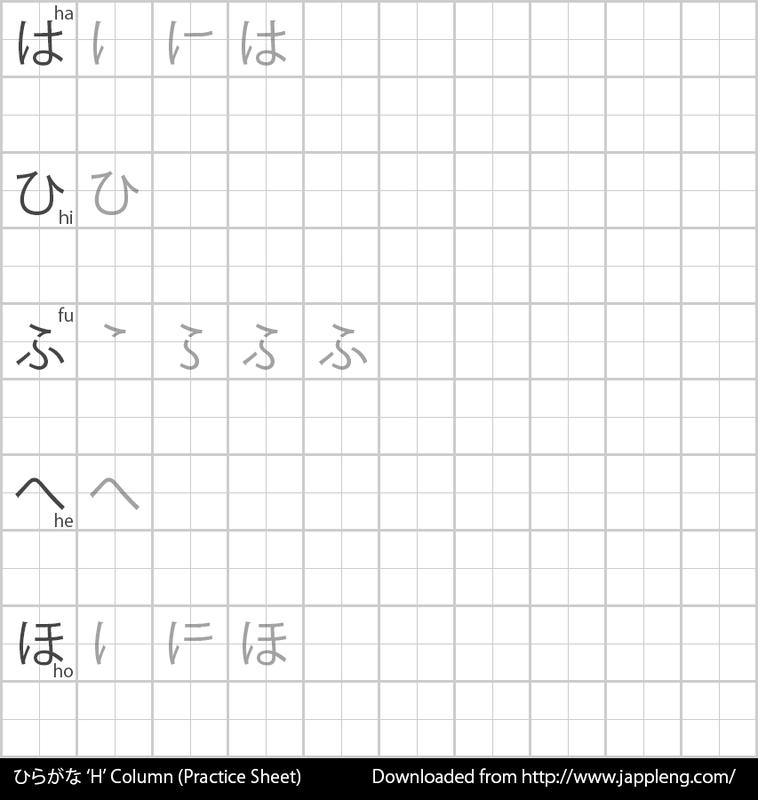 Please do not be intimidated or discouraged, this history is relatively brief and be sure to complete your homework assignments as there are new hiragana to learn. Notice: History is always changing; as such we may update this article as many times as necessary if we find more evidence on new findings (we will document these changes). We have cross-referenced many textbooks and online sources and have weighed in what we believe is most accurate and generally accepted by historians. Thank you. Take a look at the following Kanji: 一 it means one (1). Kanji are graphical representation of words also known as logographic characters. As you may have recognized, there is only one stroke in the example kanji. Two (2), will have two strokes 二 much like roman numerals (I and II). Kanji are very much like Chinese characters (hànzì) in fact they were borrowed from them. Kanji have different level of strokes to them, from 1 to a legendary 84 strokes. Of course, MOST kanji are not 84 strokes or anywhere near it; it’s merely a world record for someone’s (unfortunate) name. In the first Elementary school year, students are expected to learn up to 12 stroke kanji. While this may seem like a lot of strokes, kanji are often more than one kanji put together to form another word. Take for instance kazan means volcano and is written as 火山. Please take notice how there are two kanji next to each other. The first kanji means fire and the second kanji means mountain. When these two kanji are side to side, they make volcano. The stroke counts of the two are combined making this particular kanji 7 strokes. Incidentally, it is unlikely that you will study kanji that have more than 24 strokes (usually reserved for names) unless you plan on becoming a Japanese linguist. Please note that there is no need to study any of the example kanji for this lesson, they are used for demonstrative purposes. While the history of Kanji is not set in stone, it is widely believed that the creation of Kanji began in China, where animal bones, typically turtle shells were used by spiritual oracles to get messages from God. These turtle bones known as oracle bones and were thought to have existed during the late Shang dynasty (1200 – 1050 BC) and were discovered by the Zhou dynasty (1045 - 221 BC). The Zhou dynasty had the brilliant idea to use these broken bone patterns into a writing system. To keep this lesson from becoming very lengthy as there is a lot of information to cover, we will refrain from explaining the entire Chinese history behind their writing scripts. Moving much further ahead in time, the earliest introduction of Kanji in Japan was in the form of the King of Na gold seal, which is said to have been given by Emperor Guangwu of Han to a Yamato emissary during a visit to Japan in 57 AD. The seal itself had the following Chinese characters: 漢委奴國王 which is generally accepted to mean “Seal awarded to the ruler of the state of Japan under the Han (Dynasty)”. Later in first century AD, Chinese coins were introduced to Japan, and it is widely believed that Japanese natives during that era could not comprehend the script and would remain illiterate until sometime before the fifth century. Scholar Wani (王仁), a bilingual in Chinese and Korean from southwestern Korea would introduce the Chinese writing system to Japan via the Korean Peninsula in the late 4th century. For reasons unknown, Wani does not exist in any Korean or Chinese history books on record, however only Japanese history biographies suggest his existence and impact. Legend and historians believe that written Chinese was primarily necessary for trade-commerce. It would take another few hundred years between the years of 794-1185 AD before kanbun would emerge in Japan to bring in a new generation of literate Japanese people. Kanbun is a classical Chinese writing system which included okurigana (diacritics) to Chinese characters to help restructure and understand Chinese sentences through the rules of Japanese grammar. Unfortunately, Kanbun was awfully difficult to learn, it was messy and so an experimental solution was introduced called Manyougana 万葉仮名. Manyougana is the predecessor of Hiragana and Katakana which still used kanji for its sounds rather than its meaning. While this may sound very confusing, we will discuss this later in a more advanced, linguistics lesson on JPLearn!. Kanbun is learned alongside of classical Japanese literature, Koten古典, as a mandatory course in primary and middle schools. Following World War II on November 16, 1946, the Japanese government issued orthographic reforms which resulted in standardizing kanji and education guidelines. These kanji were known as kyouiku kanji 教育漢字 literally meaning education kanji, which had a standard 1,006 glyphs to be learned. In addition, Jouyou kanji consists of all kyouiku kanji in addition to 1,130 more kanji and were introduced in 1981, replacing touyou kanji, its predecessor. Finally, we arrive to September 27, 2004 where 983 new kanji for personal names jinmeiyou kanji人名用漢字 were introduced. There are over 50,000 kanji in all, and it is said that it could take many lifetimes to master all of them, and some people do. Thankfully, we don’t need to know that many, in fact the average Japanese native may be able to recognize up to 3,000 but only be able to write around 2,000 or less. As new generations grow, kanji is arguably becoming less used than before. Hiragana, Katakana and English characters tend to replace a lot of kanji in modern Japanese culture making many wonder whether Kanji will remain used in Japanese. However, Kanji is an essential component to Japanese sentences and some phrases could not be made without them. Regardless, with all of these numbers, it may be too confusing or even daunting to ever approach kanji. Thankfully you only need to recognize 2,136 kanji or a few hundred to get by. Of course, that’s how many students learn until they graduate from high school. Depending on your goals, you may want to only learn a few, a few hundred or all of them and we’ll provide all the available software and references free for you. Don’t fret so much, you’ll eventually be learning kanji much faster and easier than you do with kana. If it is of any consolation, native Japanese people lose their ability to recognize many of their learned kanji over time and has been more-so since the coming of computers and smart phones. Kanji is Easier than You think! The way we teach Kanji is by first learning the fundamentals. We start with stroke order, then the kanji radicals and we teach by necessity rather than the traditional method of "by stroke count". Typically Kanji is taught through rough memorization and by how many strokes there are. You learn the 1 stroke kanji, then 2 stroke and so forth... But what use is that in practical Japanese? It would take an eternity and that it does. When the time is right, we will learn Kanji the easy and practical way. 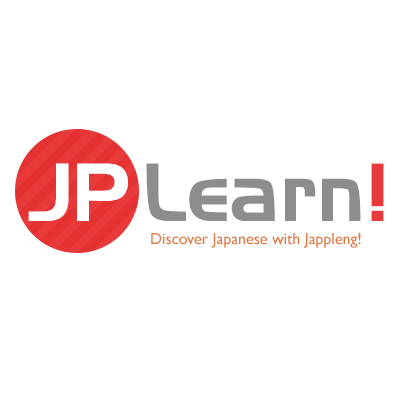 The traditional ways of teaching Japanese are no more with JPLearn! and you will see exactly how effective it is in the coming lessons. We believe this is the right time to somewhat introduce the the Japanese Language Proficiency Test (JLPT). It is going to be something you will hear often in this community if you haven’t already. It is the standard for gauging one’s ability to understand Japanese graded from N5 (lowest rank) to N1 (highest rank). If you decide to live or work in Japan, you will likely need to pass the JLPT exam at its highest level. We will help you learn all that you need to know to pass the JLPT exam on Jappleng, whether you decide to continue with JPLearn! or study strictly for it in our JLPT practice course. It is said that traditionally, it takes approximately 250-400 hours to pass the N4 exam (basic Japanese) and 3,100-4,500 hours to pass the N1 exam according to the Japan Foundation (circa 2010). We have been developing methods to decrease this number substantially such as how Kanji can easily be learned with about 200 characters, rather than 3,000+. You will need to learn Kanji in order to pass the JLPT exams, so please keep this in mind for future consideration. For more information, please consult the community forums or our JLPT guides. To clarify, we don't believe it will take anyone studying here over 3,000 hours to learn Japanese or learn enough Japanese to live in Japan. It is quite possible to live in Japan with very little understanding of the language and the rest is learned through immersion. There are many obstacles by following this path but it isn't unheard of. We believe it can easily take a fraction of the time by studying here and it is much easier to learn Kanji through radicals than by strict memorization. We have learned quite a lot of history from this crash history course on Kanji. While we could have easily dedicated a whole book on the subject, I’m sure that most of you are eager to learn your first Kanji and move on to other lessons. You may have not realized this but most resources that teach the Japanese language does not include much information about the history and culture of Japan. We strive to ensure that your education here is exemplary, much like what you would expect in a real classroom in Japan. 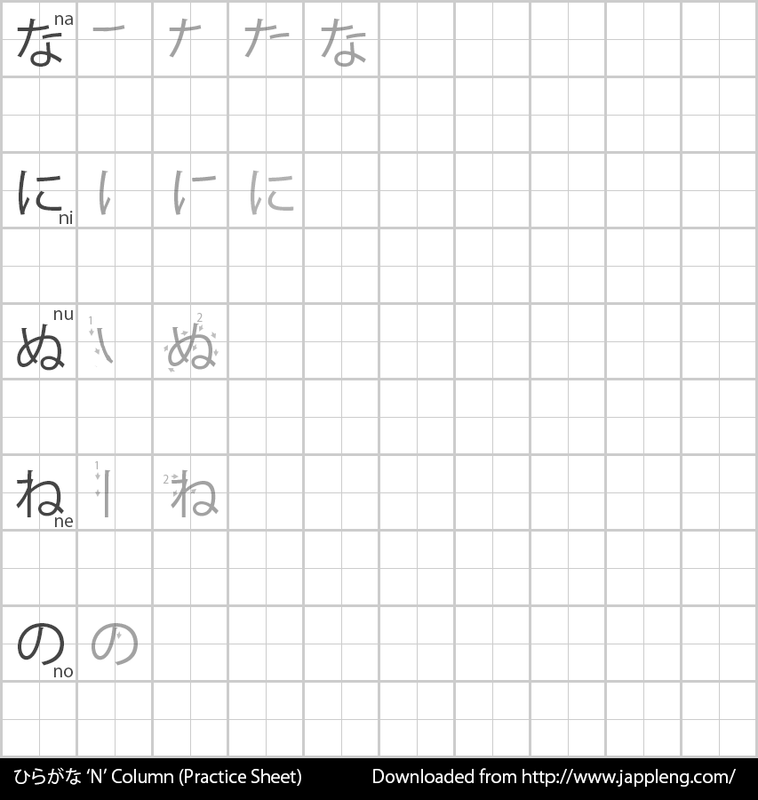 When you are ready, please accept homework for the lesson which will include new hiragana to learn and practice samples.